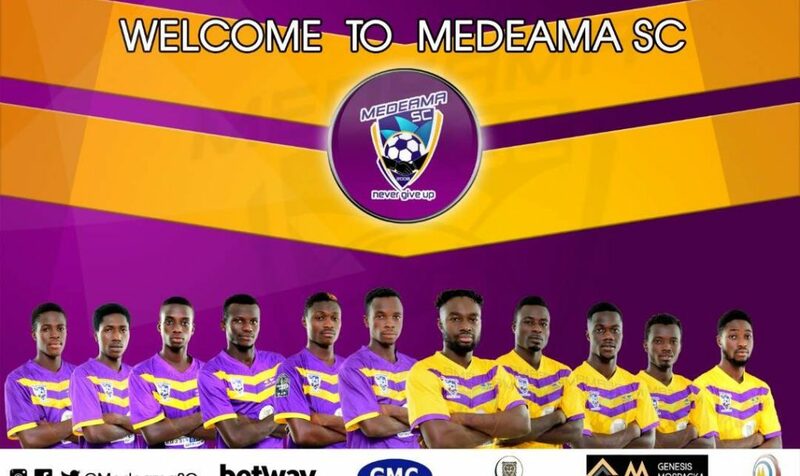 Medeama have unveiled 11 new players ahead of the 2017/18 Ghana Premier League season which starts on Friday. The short but impressive ceremony took place at the club’s secretariat in Tarkwa on Tuesday. Kwame Boateng joins as a free agent after ending his contract with Kotoko. Phar Rangers duo Richard Boadu and Samuel Appiah, Mpusuaman FC pair Solomon Wireku and Randy Kwasi Owusu are some of the new players who were unveiled. James Anane Kwarteng (Corner Babies), Ebenezer Ackahbi (Achiesu FC), Gideon Acquah (Accra FC), Bright Enchil (Joel Bouzou Rangers), Tahiru Awudu (Konongo Shooting Stars) and Ali Ouattara (Real Tamale United) are the new faces to join the ambitious Ghanaian side. “These players were carefully selected based on the technical team recommendation on quality, commitment, mental toughness and humility. “I have no doubt in my mind that with a little support from management and club president the skill will not be the only limit but the ultimate of winning the trophy for the first time.